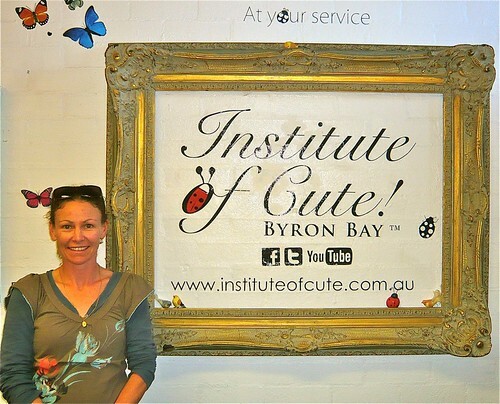 Last week I finally got the chance to visit Jane Davenport’s ‘The Institute of Cute‘, located in the beautiful Bryon Bay. We were on our way back from visiting family in Queensland, and I convinced my husband to alter our planned route back to Melbourne so that I could stop at Jane’s gorgeous store. 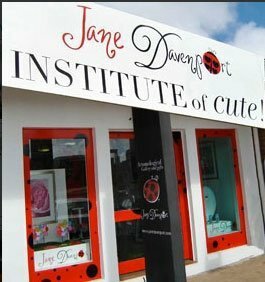 Ever since I discovered Jane’s blog I have wanted to visit her super cute. Unfortunately I did not get to meet the lovely Jane herself. However when I arrived, I was greeted by the wonderful Fiona, who was working there at the time. Talk about great customer service. What a gem she is. She seemed just as excited about Jane’s store and its gorgeous items as I was. If it wasn’t for my husband and kids, that were waiting for me patiently, I would have definitely spent longer there. I ended up buying a beautiful A4 hardbound journal, an Aquah brush pen, an Acylic paint dabber and a blending pencil. 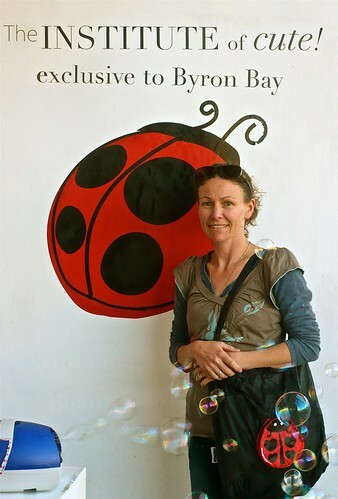 As you can see from the above photo, the cute lady bug bag I’m holding was a free gift with my purchases. I love it. There were so many more things I wanted, but I thought I’d save the rest to buy from Jane’s online store. I have my eye on some of the items pictured below, as well as some more of the art supplies, obviously =D. I walked out of this store with the biggest smile on my face. This visit to Jane’s awesome store was the highlight of my holiday for sure. If you would like to learn more about Jane and her artwork, Jane was interviewed by Tam Laporte (Willowing) on Tam’s fabulous Ning site Willowing.ning.com. You can read the interview here. What a lovely visit Kyles, you would have driven right past me on the way south as well 😉 shame we didn't realise you could have shared your goodies with me irl. Glad to hear you had a greatr holiday and safe travels. What a wonderful shopping experience–I don't think I'll ever be able to visit there–so thanks for sharing this and her links! How fun!! Thanks for sharing your visit. Maybe one day I will get over to your island and we can go visit Jane together!! LOL I thought it was funny that I mentioned Jane in my email before I read your post.